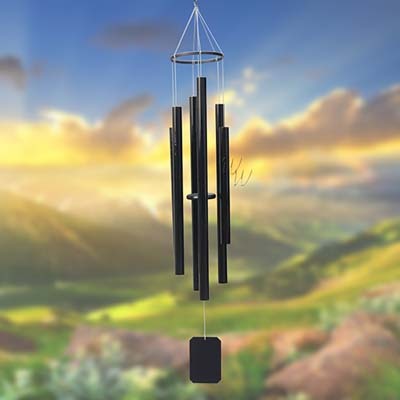 With its Low-range tuning, this chime plays the inspiring tones heard in the opening measures of Amazing Grace, one of America's best loved and most widely known hymns. Highest quality, black finish aluminum tubing available. Unlike imported aluminum used by others, our aluminum is more solid with no micro air bubbles, allowing for a thicker, more solid and light weight tube producing a cleaner, longer lasting musical note. We can provide volume discounts for weddings, memorials, family parties, or any special event.